At some point in your life, you will need to perform an emergency stop in your vehicle; this could be due to a hazard in the road, a car ahead of you who have also stopped sharply or and animal or somebody has run into the road. It is a vital aspect of your driving lessons when you are learning to drive, so you know exactly what to do in this instance. When it does happen you will want your vehicle to stop in the shortest possible distance. There are a number of factors which affect braking distance in a car which we are going to run through so you know when you should be more cautious or even have your vehicle looked at. Braking distance is initially made up of two factors which include your thinking distance and the actual braking distance. The thinking distance is the time it takes for the driver to take in the information and then to process it. It can be from seeing something in the road to then pressing the brake pedal, the other part of thinking time which is taken into consideration is from the point you press the pedal to the vehicle when coming to a complete stop. Your speed is one of the only factors which will have a dramatic effect on both your thinking and braking distance. As a general rule of thumb, the faster you are driving, the longer it will take you to come to a complete stop. When you are driving anywhere between 20 to 40 mph, it generally takes you 12 additional meters to stop which is the equivalent of three car lengths. This means that for every 10mph you are travelling you add this additional 12 metres onto stopping distance. Therefore if you are driving around 70mph then on average, it can take you around 96 metres to come to a stop. Braking systems can also have a huge impact on how well you can brake, as a vehicle owner it is your duty to ensure your brakes work as well as they should be. ABS systems are now commonplace within most modern vehicles but does not make a great deal of difference to your actual braking distance. There are more so put in place to help the driver keep in control of their vehicle while the emergency brake. If you are someone who keeps on top of their brakes and maintains them with regular BMW service in Milton Keynes can make a big difference. Brake pads have a block of padding which means there is a significant amount of friction between the pads which means you are more likely to make you stop. This friction will naturally wear off over time and which means the brake disc can become rather worn. Brakes can also be affected by the weather conditions can also affect your braking distance, wet roads can often make the tyres aquaplane which can also mean you are less likely to slow down as well as affecting the overall control you have over the vehicle. To engage your brakes when there is a rather significant downpour, it is always ideal to lower your speed slightly and to the pump the brake pedal a few times while you are driving to assist in drying them out. If there is too much water caught up in your brakes, you may find it a little tricky to break. Tyres need to be a certain pressure for them to work effectively, when tyres are either over inflated or under inflated, then it makes a change in the contact patch of the tread. Underinflated tyres are more likely to meet the road at the very edges whereas overinflated tyres make more contact within the centre of the tyre. Both are not good for the braking distance of the vehicle, not only is it bad for the tyres themselves as it causes uneven wear but is means the traction is reduced which then makes the tyres less effective at going into the road surface and therefore does not bring the car to a halt as it should. Checking your tyre pressure every month is an essential part of your vehicle maintenance, it is not a hard maintenance job to completed and only requires a small tyre pressure gauge. By law your tyres need to be above a certain tread depth, the minimum your tyre treat can be is 1.6mm. It is illegally for you to go below this and if the police catch you, then you can expect to receive a fine. Most tyres you have fitted to your vehicle with around 8mm of tread on the tyre which will naturally wear away the longer you drive the vehicle. As the tread reduces over time so does the grip on the road. Visibility is often something we do not think about when it comes to braking distance. Most accidents tend to happen when the weather is exceptionally bad. Damaged windscreen wipers or windscreen wipers that do not effectively get rid of dirt on your windscreen can dramatically affect your visibility. We always recommend for our customers to ensure their windscreen wipers are working as well as they should be, the last thing you want to be doing is driving at high speed and not being able to clear your windscreen. Make sure you also get good quality windscreen wipers as they often tend to last much longer an are much more effective. Distractions while driving are often your worst nightmare and can have a real effect on your ability to stop in time. Make sure that when you are taking any journey your phone is even in flight mode or you can now put most smartphones on drive mode. Drive mode senses when you are driving and prevents your phone from pushing through any notifications when someone is trying to reach you. Make sure your car is in good condition and is always taken in for maintenance checks. 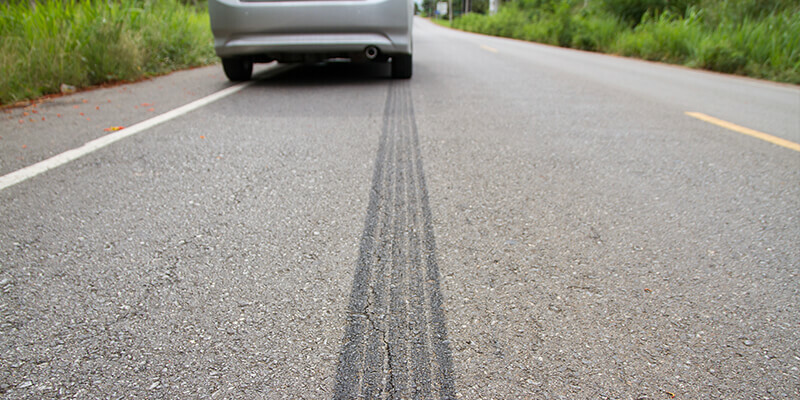 Your tyres and brakes can have a real impact on whether you can stop in time. We always recommend to our clients that as well as bringing your car in for a service you should also carry out regular maintenance checks at home to ensure your car is running in a safe condition. Next Post Depreciation – What is it and how to avoid it?